NOTE: A version of this post was originally published on June 7th, 2016. 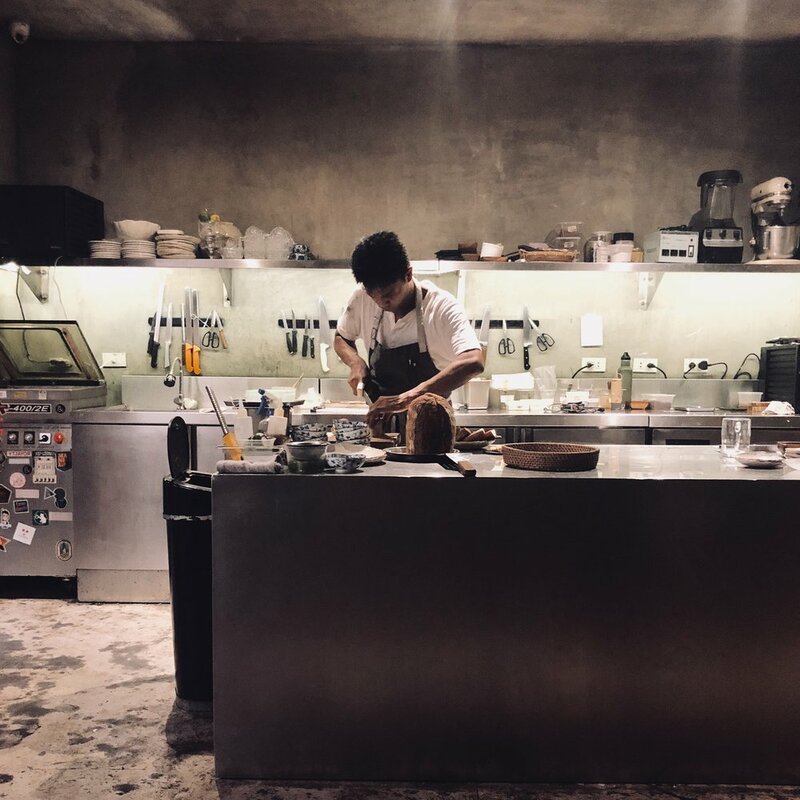 In the Spring of 2016, we were part of the lucky few to get an early reservation at the much-awaited opening of a new restaurant dubbed, Toyo Eatery (@toyoeatery), founded by Chef Jordy Navarra, ex. 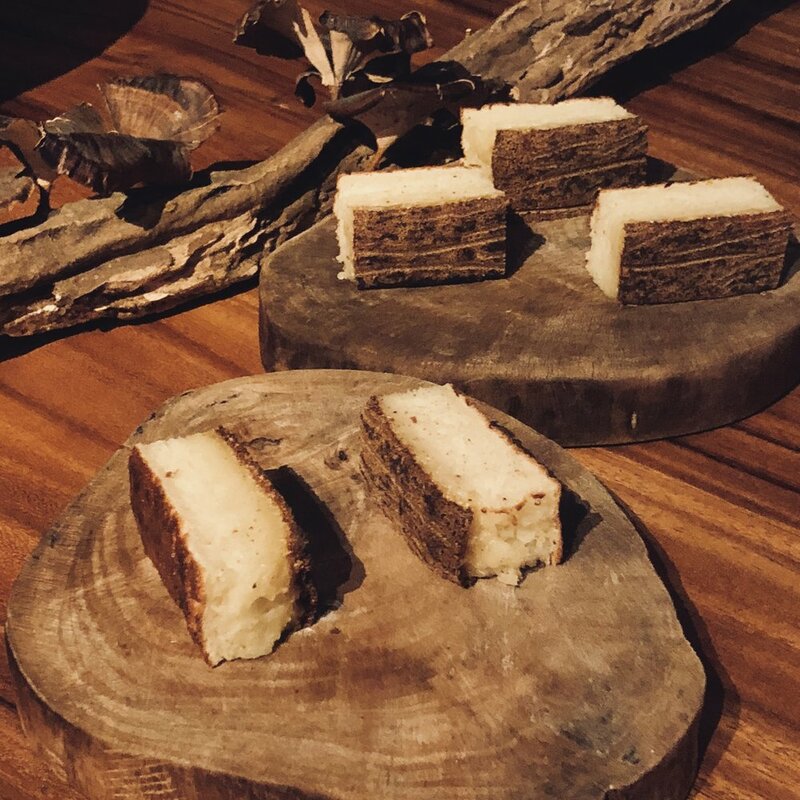 Bo Innovation, The Fat Duck, and Manila’s Black Sheep. 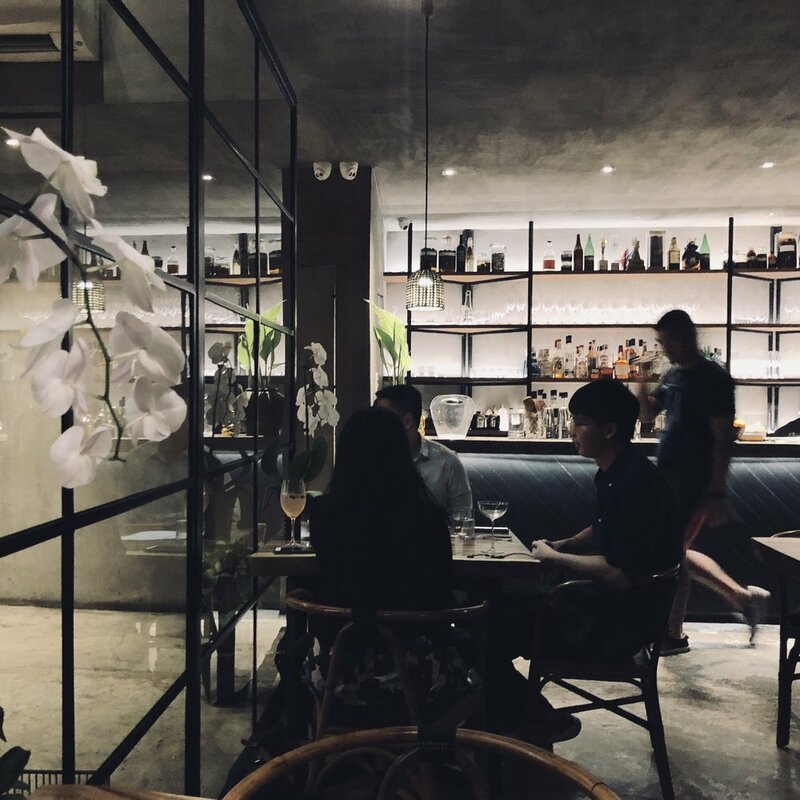 This little restaurant, tucked in a refurbished industrial development called The Alley at Karrivin (@thealleyatkarrivin), is located just off Manila's chic Chino Roces Extension, home of creative venues like Chef Margarita Fores' Commissary, Toby’s Coffee, Silverlens Art Gallery, and The Drawing Room Contemporary . 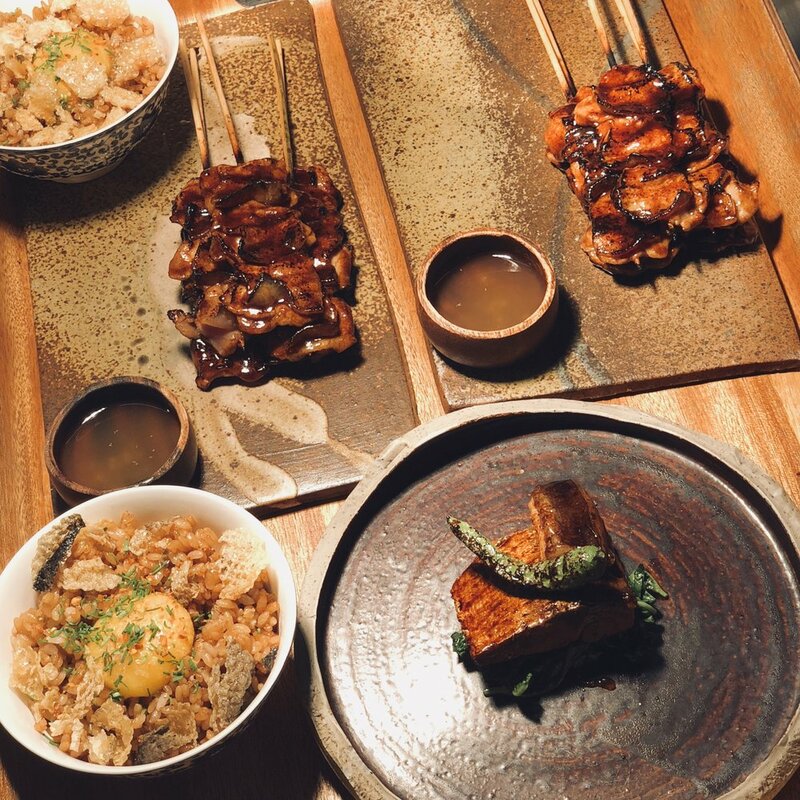 "Toyo", the Filipino word for Soy Sauce- is a reference and inspiration for Chef Navarra and a base concept for the restaurant's simple and down-to-earth offering. 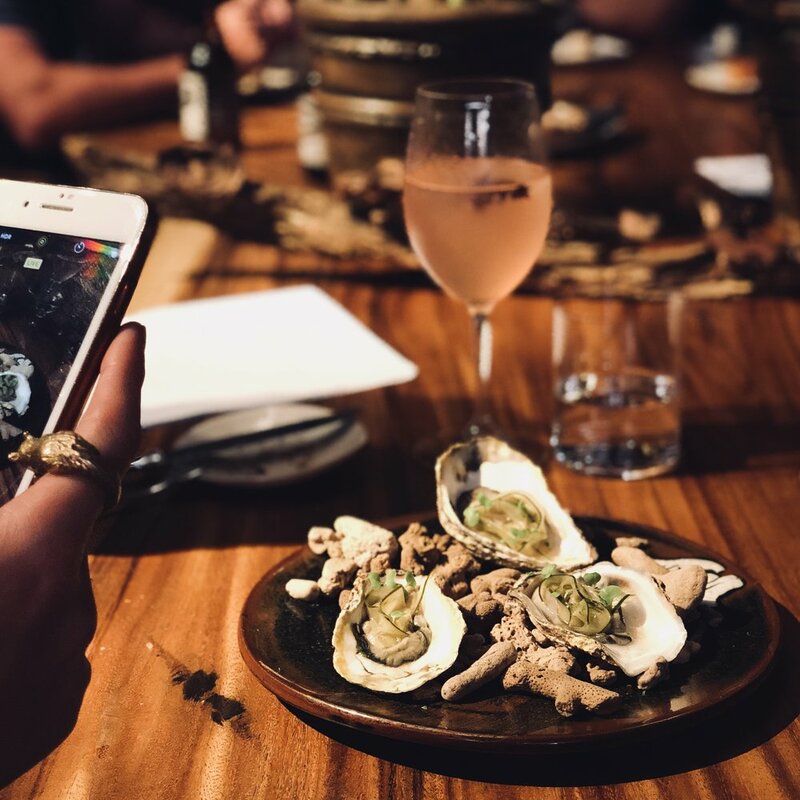 This direct simplicity is a surprise for many in Manila who most likely aren’t used to fancy restaurants being as paired back and subdued as Navarra’s new cave. The simple interior, rustic on finishes and big on simple Architectural volumes, is generous on things that DO matter, like comfortable seats designed by E.Murio, Acacia Tables care of Diretso, and lighting made of Capiz shells by Milo Naval, all the things that frame Navarra’s honest and artful take on local Filipino cuisine. 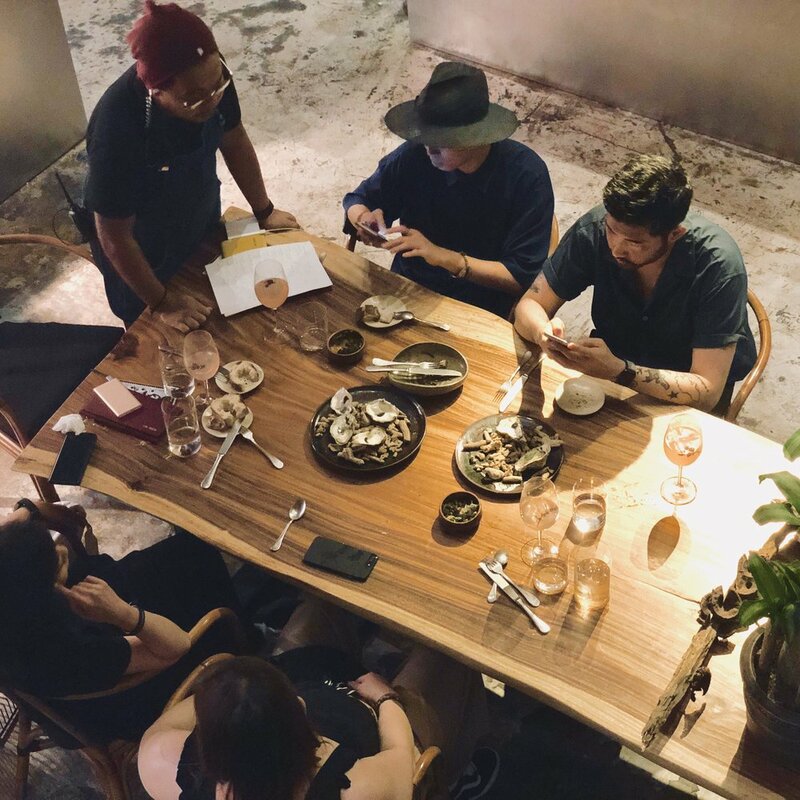 Our Tasting Menu consisted of a delicious combination of the freshest seafood of Aklan Oysters, a local "Chinatown-style" three-cut skewers, and a vegetable salad, the "Bahay Kubo", made of ingredients listed in the lyrics of a children's song of the same title. 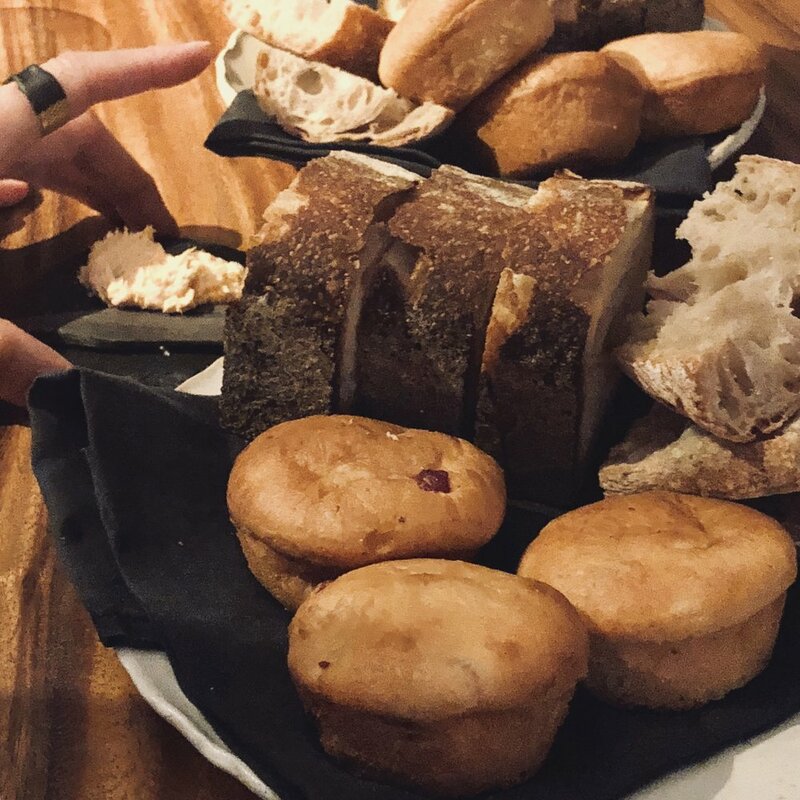 The meal focuses on serving dishes down to its most essential flavours using only locally sourced ingredients that are deconstructed, simplified, and re-interpreted, in a casual non-pretentious setting. 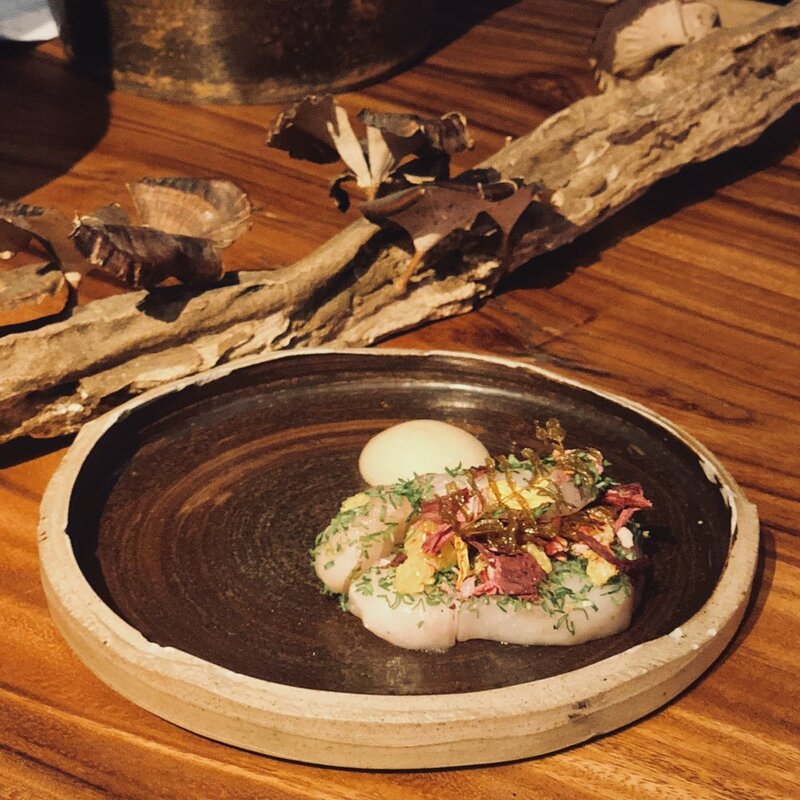 Other dishes to order, the "Bansilog", consisting of a grilled loin and belly of a Bangus (milk-fish) with sticky rice, free-range egg, chicharron, and dried tuna roe. We also loved the Mayura Wagyu Onglet, made of Japanese Magura Wagyu, doused in its own soy steak ju. Our meal ended with a pair of delicious grilled torched cassava cakes and truffles made of chocolate with patis (salty fish sauce).